We have arrangements for larger groups or conferences, which are always very popular. Spend a day together and experience the mountains in a new and fun way! 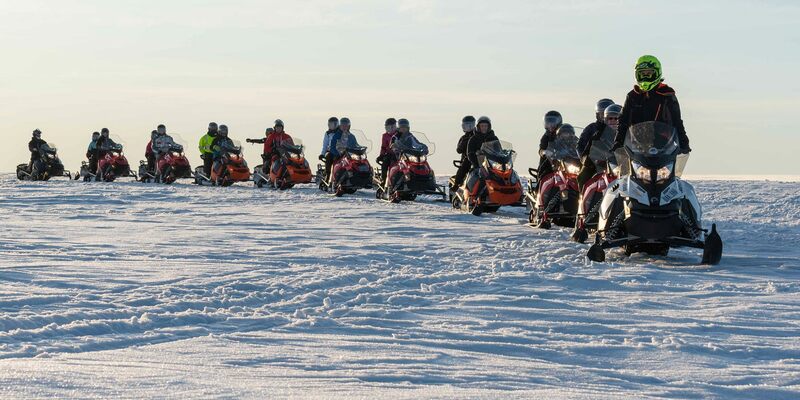 Minimum for booking for group with own guide is 5 snowmobiles. We go on a long day trip and have lunch together during the trip. You get the chance to travel through a varied terrain and test your snowmobile driving skills. 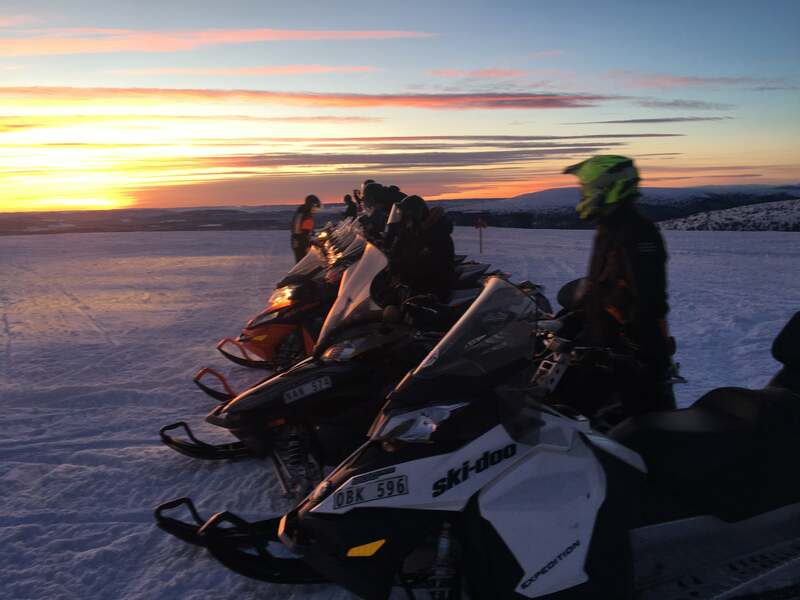 On this trip we recommend one person per snowmobile because it is a long trip with a lot of driving. On this trip we will take you to a waffle cabin on the mountain where those who want can buy snacks or lunch. We enjoy the beautiful mountain world and hopefully also the sun. The trip takes about 3.5 hours. 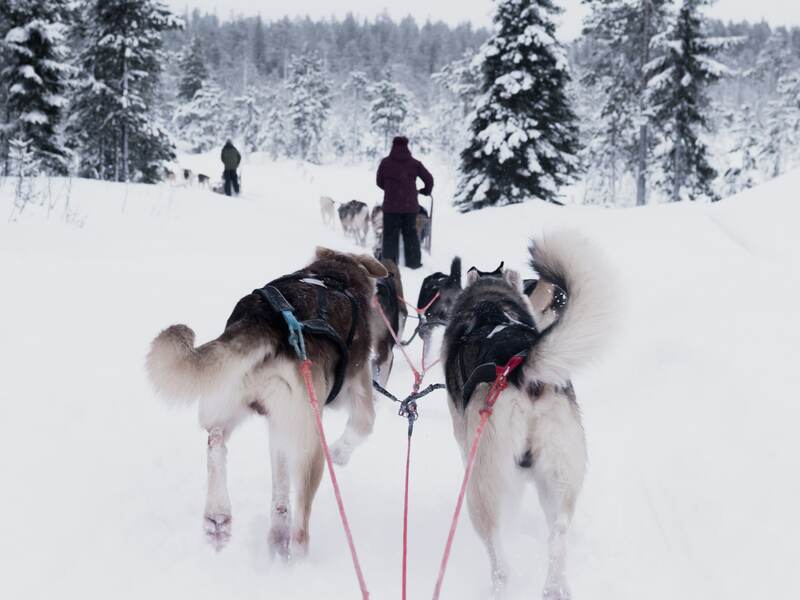 Now you have the chance to try both dog sledge and snowmobile on the same day! We split the group in two, one of which runs a dog sledge while the other group drives snowmobile and then changes so that everyone can try both. A very nice conference arrangement. The trip takes about 1.5 hours. Minimum number of people on this trip is 14 persons. This is a little longer snowmobile safari trip as we drive in the morning or afternoon. 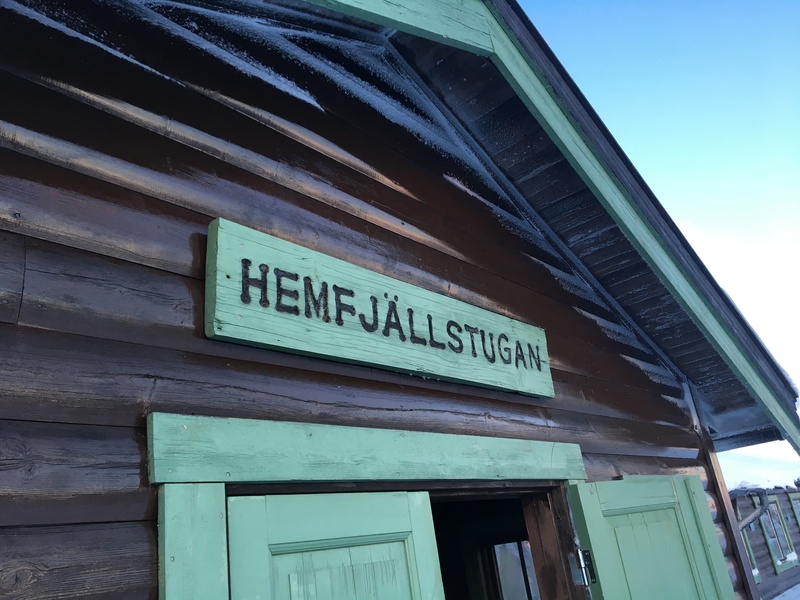 The morning trip is between 09:00 and 11:30 and afternoon trip from 14:00 to 16:30. This trip shows the mountain in all its splendor, do not forget the camera at home! Overall solution with accommodation, conference, food etc.